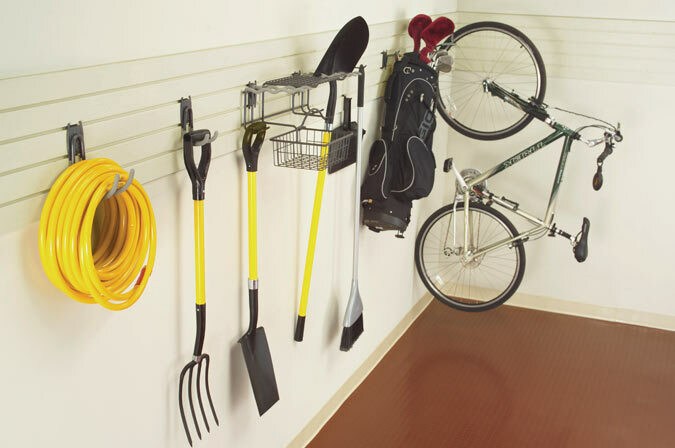 Now you can actually store your stuff and use your garage for its intended purpose. 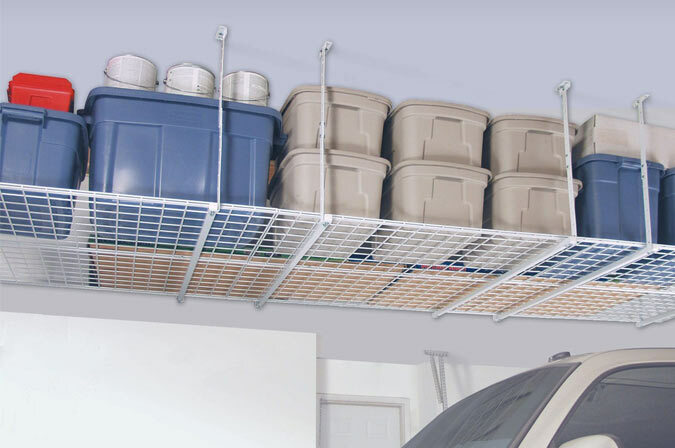 Your Garage is the largest room in your home, shouldn’t it be functional and organized? Our team of experts will work with you to tailor a solution that meets your needs and budget. FROM CEILINGS TO WALLS TO FLOORS, WE DO IT ALL! 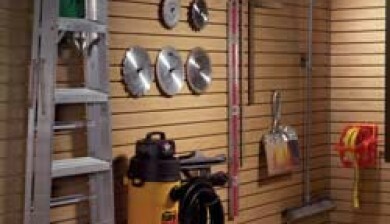 Garage Makeovers is your specialist to organize and beautify your garage. 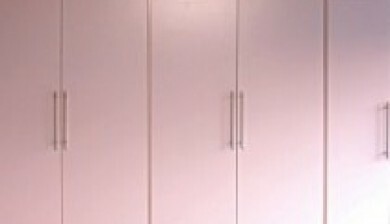 Our professionals will custom design and optimize your storage needs with beautiful cabinets, durable wall shelving, heavy duty overhead storage units, and flexible slot wall organizing system. 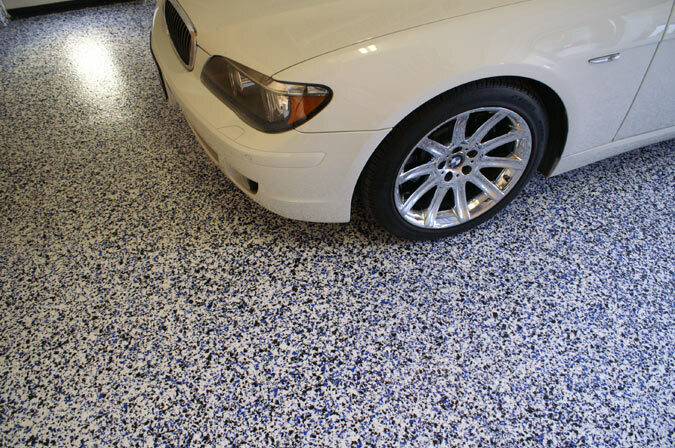 Make your garage more beautiful and always looking clean with an Polyaspartic Garage Floor coating treatment. We use industrial grade premium Epoxy and Polyaspartic Polyurea coatings to create a rock like surface permanently bonded to your garage concrete slab. 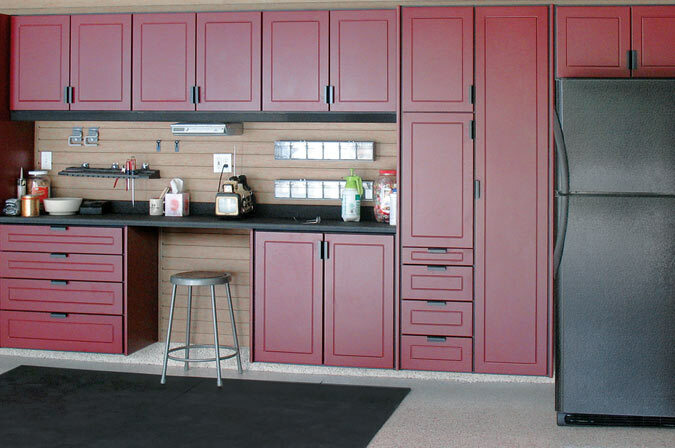 The granite like colors beautify and make easy to keep your garage clean and dirt free. Our prices are very competitive, and we will beat quotes from franchise operators. We are a local and family operated business with national partners to provide the highest quality products and services. 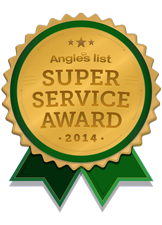 Our quality and dedication to customer service have made us the top rated company in South Florida for your Garage Makeover needs. 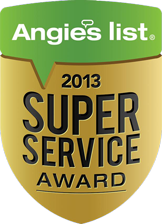 #1 in Angie’s List and #1 in Home Advisor. To Your Specifications Starting at $499 *Certain Restrictions Apply. Not valid with prior purchases. After much research on "Do it yourself" garage makeovers, we realized that doing our floors with the epoxy was no easy matter. It seemed easy enough but after reading many reviews; we realized that doing ourselves could result in more problems than we wanted to deal with. My brother referred Garage Makeovers to us and needless to say we were not disappointed. The price was competitive but more than that the service was excellent. They responded quickly and were honest about their schedule. I always appreciate when people underpromise and overdeliver and this company did just that. Our floors look fantastic and recommended him to another family member who also got their garage floors done. Did exactly what they said they would do, unlike most South Florida businesses. Most importantly showed up on time and completed the job on time. Totally transformed my garage. I love it. My garage floor looks fantastic and my garage is organized so well that I can find things I am looking for without any trouble. Not to mention that I don't have to sweep my garage floor every week. Strongly recommend for all home owners. The technology they used for coating the concrete garage floor is remarkable. And I believe the technology brings significant value to home owners. I researched all of the garage companies for a while. I found more expensive (by a lot!) but not BETTER. We are so happy with our garage now - the work the guys did was absolutely perfect and we are thrilled! 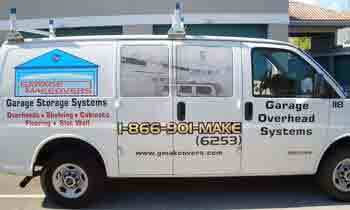 Garage Makeovers really knows how to provide a professional exceptional service. 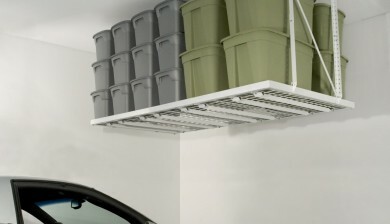 I am so happy with the results of my new garage, I hired them to put in those overhead shelves. Everything came out great and I now have lots of storage. I will continue to use Garage Makeovers in the future. Thanks a lot!